Earlier this month I had the opportunity to attend the American Marketing Association’s International Collegiate Conference in New Orleans. Each year the marketing association I’m involved in, Northeastern University’s Marketing Association (NUMA), sends a few students to represent the university, and I was one of the seven selected this year. The conference is held each year in New Orleans, and each year I’ve been able to discover more things to do in the city. 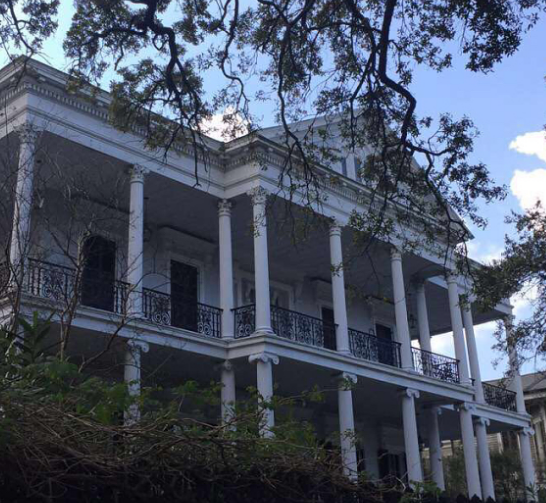 While the conference is hosted in the Sheraton on Canal Street within the French Quarter, my group made sure to adventure outside the popular district as well to ensure we were able to see as many fun and beautiful New Orleans attractions as possible! One of the most popular places in New Orleans, and one of my favorite places regardless, is Jackson Square. 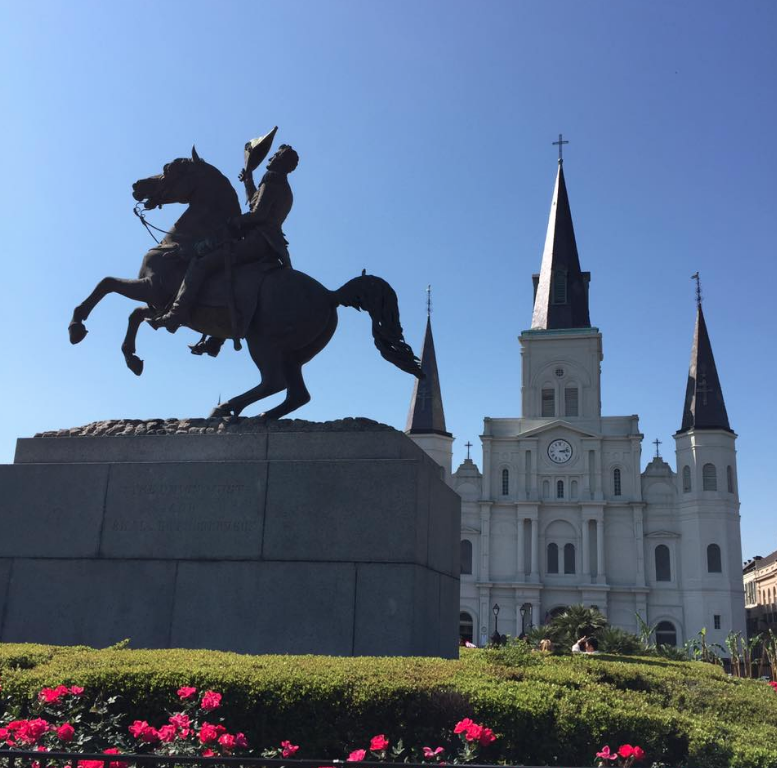 The park features the stunning St. Louis Cathedral with a statue of Andrew Jackson on horseback in front, surrounded by beautiful Greek Revival architecture homes. While the square can feel as though it is overrun with tourists and street performers, I enjoy lounging about, listening to the jazz bands that perform in front of the cathedral. Equally as important when visiting Jackson Square is a trip to Cafe du Monde. While it seems that all of the food in New Orleans is revered, my favorite by far are the beignets. While some claim that beignets are just a variation of a donut, I firmly believe they are deserving of their own category. For those who haven’t had the pleasure of having a beignet, they are essentially fried dough topped with heaps of sugar. But while beignets are served outside of New Orleans, nowhere else have I had anything that even begins to rival the deliciousness of Cafe du Monde’s beignets. Unsurprisingly, my friends and I went to Cafe du Monde each day we were visiting. For late night fun, most people visiting New Orleans seem to end up on Bourbon Street, a stretch of thirteen blocks that contain primarily bars and strip clubs. While I understand how some people might consider this fun, for someone who doesn’t enjoy drinking in excess or staying out late, spending time on Bourbon Street is quite miserable. But when most of your free time is during the evening, it’s hard to find things to do. Most museums are closed, and while walking around random areas and getting lost is fun, it loses its appeal once it gets dark. Thankfully New Orleans has the Frenchmen Art Walk. 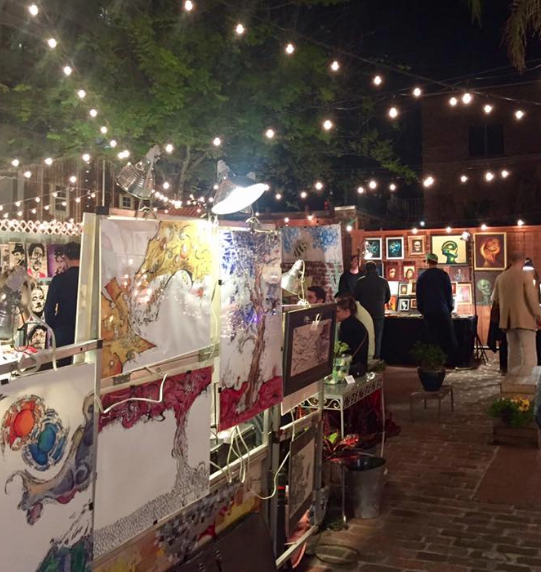 Located about 10-15 minutes from the hustle of Bourbon Street, the Frenchman Art Walk is a late-night art walk open every day of the week. I love markets. Whether it’s a farmers market or an art market, I think the opportunity to check out local merchant’s goods is exciting, and the ability to stop and chat with people is fun. The Frenchmen Art Walk was no different. It was great seeing so many amazing pieces of art, in all different styles, and having the chance to talk to the artists. My favorite stops had to be those owned by an older gentleman who created wire designs that projected images that changed depending on where the light source originated, and a woman who took old cameras and books and threaded light bulbs through them, creating unique lamps. For a relaxing evening getting to know local New Orleans artists, and potentially walking away with original art, I would definitely recommend the Frenchmen Art Walk. A bit farther out of the French Quarter is the Garden District, featuring stunning houses that could only be classified as mansions. My friends and I had heard this part of town was absolutely gorgeous and we were not disappointed. Walking around the Garden District is a relaxing way to spend an afternoon. New Orleans as a whole has breathtaking architecture and getting to see a more residential version of it was fantastic. As we were walking around we also passed about three tour groups so we were able to glean some history by eavesdropping, although I would love to come back and hear a tour in its entirety. For those also interested in checking out historic sites, the Lafayette Cemetery is a must see. One of the oldest cemeteries in the city, the cemetery features above ground graves, holds the remains of many Civil War veterans, and shows the drastic effects of diseases like yellow fever and apoplexy. I find cemeteries to be beautiful and could spend hours reading the history of the people and the city, but even for those not as interested, Lafayette Cemetery is still a great spot to visit. 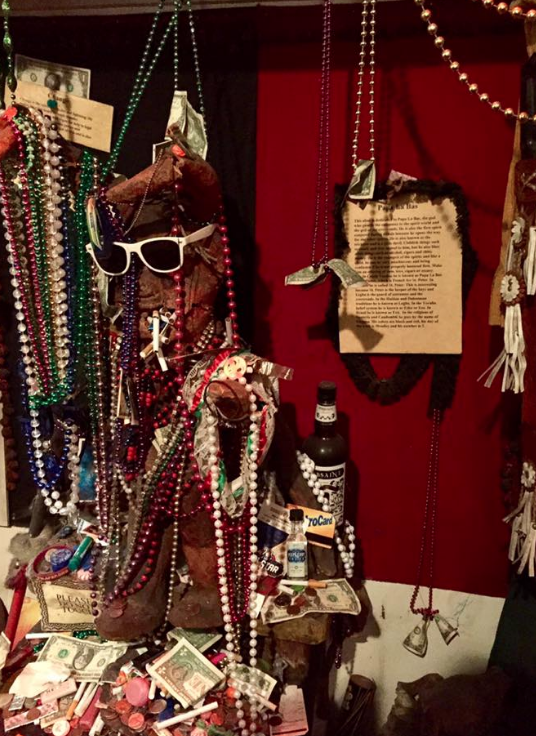 New Orleans is known for its association with voodoo and for those wanting to get to know a bit more, the New Orleans Historic Voodoo Museum is a must. For only $5 my friends and I were able to learn more about the history of voodoo in New Orleans, the difference between voodoo and hoodoo, and important figures in voodoo. While the museum is quite small, it manages to pack a ton of information into a few rooms. In the museum, there are many paintings, sculptures, artifacts, and voodoo relics, all with accompanying information. It was fun getting to know more about different beliefs, as well as learning the history and influences behind the modern perceptions of voodoo. For such a small entrance fee, the museum is worth visiting, especially if you want to feel a bit spooked by the sheer array of bones and voodoo dolls strown about the museum. 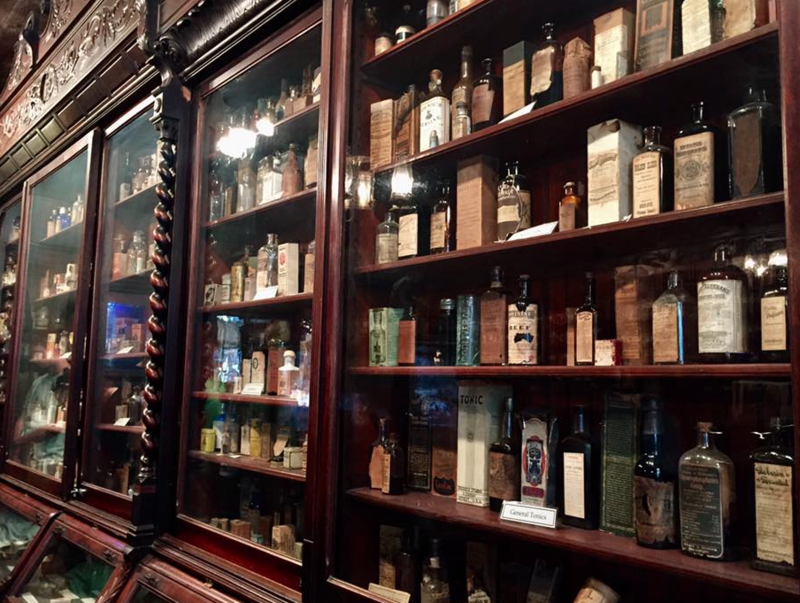 A museum that took me by surprise was the New Orleans Pharmacy Museum. Not being particularly interested in medicine, I thought the small museum was going to be dull, with potentially a few cool bottles of poison here and there. I was very wrong. Located at the site of the first licensed apothecary in the United States, this museum takes you through the history of pharmacy. This includes everything from the history of drugs and abolitionists throughout history to famous beliefs about medicine and classic New Orleans historical pharmacy bottles. There are so many interesting facts about medicine and the ways they have been used and abused throughout history I was completely unaware of. The visit itself only cost me $4, and I while I only spent an hour thanks to the conference I was attending, I could have easily spent a significantly larger amount of time here. 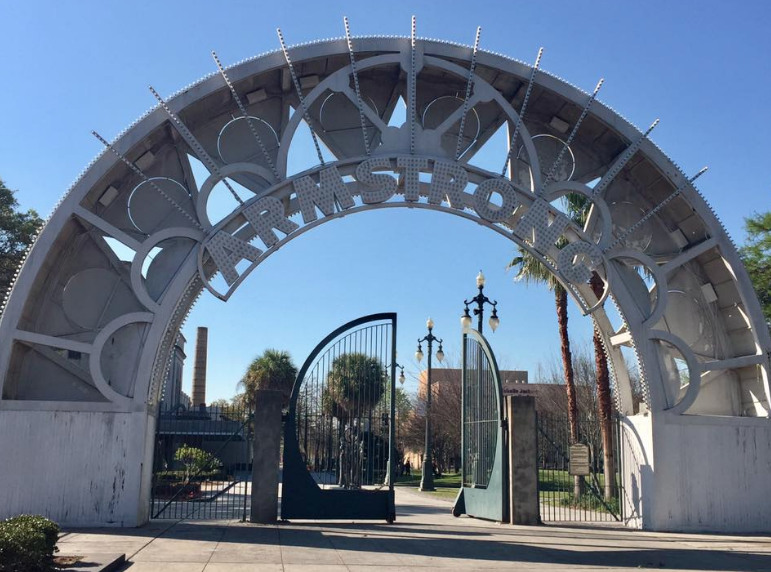 A short walk from the Voodoo Museum is Louis Armstrong Park. In March when I visited the New Orleans weather was absolutely beautiful, high 70s and sunny, a perfect day to walk around a park. The Louis Armstrong Park seems like it would be the best way to spend a lazy Sunday. The park is beautiful, featuring many sculptures honoring New Orleans jazz musicians, and having many ponds and bridges to create beautiful imagery. And for those interested in history, the park is also the location of Congo Square, a meeting place of slaves in the 1700 and 1800s that became famous in part for its influence in shaping jazz music and its ties to voodoo spirituality. For college students interested in marketing, mid-March is a great time to visit New Orleans because the American Marketing Association hosts their annual International Collegiate Conference then. 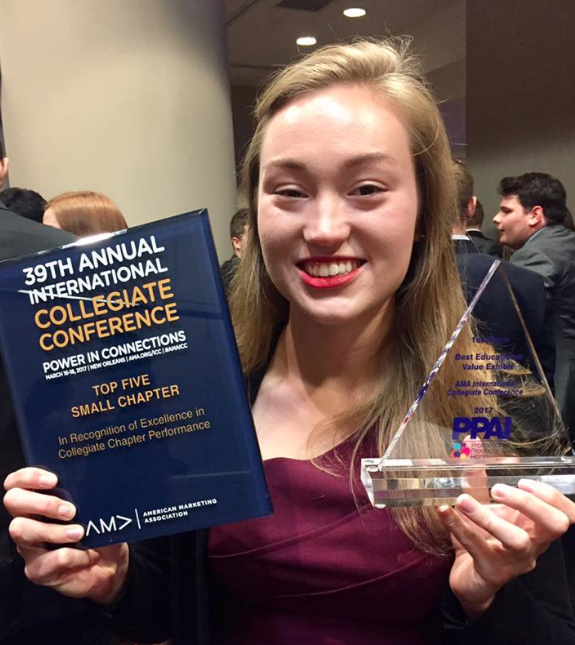 This year the Northeastern University chapter performed even better than any of us could have hoped. We had the honor of being named a Top 5 Small Chapter, an award we hadn’t thought we could have been considered for, let alone win. We also received fourth for our website design, and won first in educational value for our booth design, highlighting the work we did over the previous year. The conference also gave great opportunities to meet other students interested in marketing, as well as hear from interesting speakers talking about topics ranging from networking tips to the future of digital advertisements. This is just some of the amazing attractions the city of New Orleans has to offer. Last year I had the opportunity to check out some other New Orleans sites, my favorite of which being the National World War II Museum, so for more suggestions for things you can’t miss, read my 2016 blog describing more of my favorite New Orleans attractions. This entry was posted in Business, History, North America, Travel and tagged american-marketing-association, conference, new-orleans, northeastern-university-marketing-association. Bookmark the permalink.